Gain access to instant traffic from the billions of people who use search engines daily. Within 24 hours your ads can be running on Google, Yahoo and Bing for targeted search terms, giving you full control over search traffic and spend. Let us help you setup a professional lead generation campaign targeted search keywords and your demographics. Our PPC specialists work with you to create powerful landing pages and ads to acquire all the leads your company can get. Engage your customers while they’re surfing the web. Our professional PPC experts target your creative’s on sites highly relevant to your product or service offering. Through demographic, interest-based and online behavior your ads will appear on sites that will lead to a conversion or sale. We all know an up-selling client generates a higher ROI than acquiring a new client. Our Remarketing service allows your PPC specialist to reach those people who had previously visited your site, but never converted. Google Adwords allows for a targeted reach. Even if you are already appearing in Google search results, using Google Adwords allows you to target new audiences. It is also great for new websites that are not ranking well in organic search results. We can build and professionally manage your PPC campaing for your Rhode Island Business. You have greater control over your marketing budget. We will edit your adverts, adjust your budget and analyse results until we get the success you need. We can run a variety of different ads to specific languages and geographic locations. There is more control with Google Adwords the key is to maximize your budget. The great thing about Google Adwords is that you set the spending limit. And with the cost-per-click option, you’re only charged if people click your ads. This means that every dollar of your budget goes towards bringing new clients to you. Google Adwords is perfect for local and regional targeting! We can set your ads so that only people in your local area will see your ads, perfect when your clients are all within ten miles of your office. At digital marketing RI we can set up your Google Adwords campaign for a minimal fee. 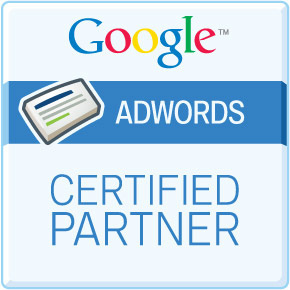 We then work on a monthly fee in order to manage and refine your Adwords campaign. On top of this you then need to work out a budget that you want to spend on your Adwords campaign. There’s no minimum spending requirement – the amount that you pay for Google Adwords is up to you. You can, for instance, set a budget of ten dollars per day and a maximum cost of ten cents for each click on your ad. We will work with you to help you determine an effective approach. Our dedicated team will assess keyword traffic and costs so that we effectively choose keywords that will maximize your budget. At the end of the day you will only be charged when people click on your ads, not when your ad is displayed.